Many people have asked me in the past if specializing in Contemporary African-inspired cuisine is limiting and while it does sound rather specific, be rest assured I chose this path wisely and after much consideration. I hate to be pigeon-holed in the kitchen so what would I have to work with given an African-inspired menu concept? To answer this question I started thinking about what African cuisine is? What are its influences? What are their most produced crops? What are the dietary trends? What are some common flavor profiles? To produce a menu inspired by the cuisine of my culture these are all questions I had to research. 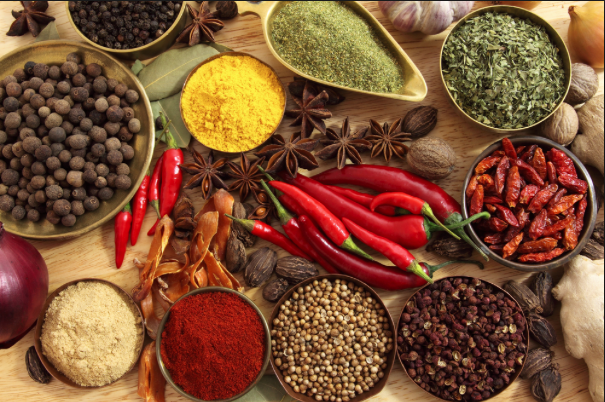 African cuisine has a basis in British, Portuguese, French, Brazilian and Indian cuisine as well! The first thing I thought of were spices. Where did they come from? What are its influences and what other cuisines has it influenced? Upon thorough research I realized that I had a goldmine! The reach of African cuisine spreads far and wide into so many other cultures from Caribbean to Brazilian, Cuban to French, British to American, it even had some Asian influences! Ok so I had a solid playing field to start with! I knew my job was then to expose and explore the delicious territory. And I’m happy to explore and share these findings with you!